Carlisle, a 2015 alumna, was the first person in her family to go to college or attend a post-graduate professional program. She says the scholarship she received from the University of South Carolina School of Law enabled her to attend law school and was a deciding factor when choosing South Carolina Law. Now a corporate and securities attorney at Womble Bond Dickinson’s Charlotte office, she has made a commitment to pay it forward – helping future law students like her who truly need the extra assistance to enable them to choose a career path that would otherwise be unobtainable. In 2017, Carlisle and her husband, Jim, established the James J. and Alysja S. Carlisle Law Scholarship Fund to help recruit students to South Carolina Law. Alumni support is important now more than ever, given the competitive world of legal education. Financial contributions from alumni are a critical component to the School of Law’s continued success. “We hope our gift helps the law school attract more bright and talented students, and that those students will feel assured that alumni remain invested and committed to helping them in their future careers,” Carlisle says. Her financial contribution isn’t the only way Carlisle gives back to the law school. She frequently communicates with prospective students at Winthrop University, her undergraduate alma mater, or current law students looking to get into corporate law. She does it because she wants to help future students the same way the law school helped shape who she is today. “I am truly grateful for everything I learned during my time at USC Law, and continue to appreciate the countless hours invested by their phenomenal faculty in helping me determine my path during and after law school,” she says. This entry was posted in Summer 2018 and tagged 2015 on 25 June 2018 by Rob Schaller. Briggs Tucker (2015) joined Baker, Ravenel & Bender in November 2017. This entry was posted in Alumni News and tagged 2015 on 20 November 2017 by thefineprint. Marlene Johnson-Moore graduated from the University of South Carolina School of Law in 2015. It was before her time at law school that Marlene Johnson-Moore knew she wanted to help people. Now, with a law degree from the University of South Carolina School of Law, the 2015 alumna serves as a part of the Presidential Management Fellows Program (PMF). It’s a job she says she was prepared for, with the help of the School of Law. Beginning in 1977, PMF sought to create opportunities for graduate students to get engaging federal work experience. Every year, students apply for the program to prove they are the outstanding type of candidate that the PMF program seeks. In 2016, Johnson-Moore was announced as a finalist for the program and became a Fellow. “Being selected as a PMF was extremely meaningful for me because when I began law school I already had the idea that I wanted to take a non-traditional path into the legal profession by working in government at either the state or federal level,” Johnson-Moore said. Through the PMF program, finalists are trained as leaders in government to seek out and create change. Finalists are expected to embrace challenges and serve their country through their work. Johnson-Moore was appointed as a Fellow with the U.S. Department of Housing and Urban Development. 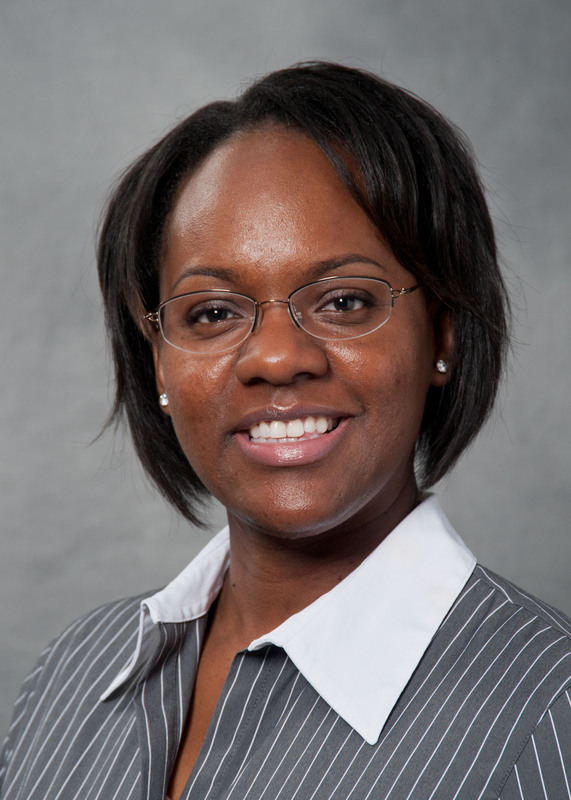 Johnson-Moore says her social and political consciousness was nurtured at the School of Law, both in the classroom and through extracurricular experience, providing her with opportunities to engage and interact with the diverse student body, the community, and local government participants. “From Career Services workshops, to fundamental and skills-based legal courses, to meaningful volunteer participation; the breadth of my time and education at the School of Law prepared me well for my experience as a Presidential Management Fellow,” Johnson-Moore said. The PMF program is not the end of the line for her, though. Through the program, she says she will be able to make connections and seek career advancement across all facets of government. These unique, unparalleled opportunities are what make the PMF program such a significant catalyst for well-qualified graduate students seeking careers in policy, politics, or government leadership. “Now, as a Fellow, I can continue to advance professionally, while serving my country and making meaningful contributions to local communities, families, and individual citizens.” Johnson-Moore said. To apply for the Presidential Management Fellows Program, go to https://www.pmf.gov/become-a-pmf/2017-application.aspx. This entry was posted in Alumni News, Noteworthy and tagged 2015 on 8 May 2017 by thefineprint. John Beck (2015) was hired as a litigator for Drew Eckl & Farnham in February 2016. This entry was posted in Alumni News and tagged 2015 on 16 February 2016 by Rob Schaller. Christopher Fedalei (2015) received a 2016 James E. Clyburn Political Fellowship in January 2016. This entry was posted in Alumni News and tagged 2015 on 1 February 2016 by Rob Schaller. Kensey Collins (2015) joined the South Carolina Department of Corrections as a staff attorney for the Office of General Counsel in December 2015. Elizabeth “Sandi” Hudson Hall (2015) joined the Nelson Mullins Greenville office in December 2015.